Kids quads? When I was a child, we were extemely lucky to know someone who was fortunate enough to have a 3-wheeler. We would take turns riding it. The problem? We had better all be big enough to drive Honda's old 110 with its huge baloon tires, because that's about all there was. 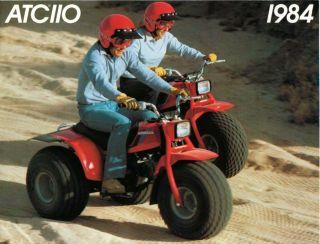 Yeah sure, there was a 70cc, and a 90, but most folks had the 110. Now it seems that every kid wants a fourwheeler. And why not? Like microwaves and VCRs, they are more affordable now than ever. Also, they come in a wide variety of shapes, colors,sizes, and options. So how can you know which one to get? 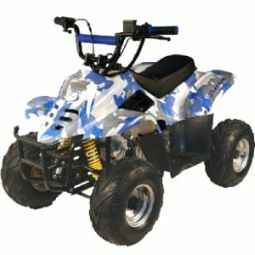 Click here to see my lineup of Kids ATVs at wholesale prices! Well, lets start with the thing that got 3 wheelers in trouble to begin with. Safety. Kids Quads of today are nothing like the old 3 wheelers. A four wheeled vehicle in general will be more stable than a 3 wheeled vehicle. Many of todays kids quads will also come equipped with foot brakes. This is much easier to learn than hand brakes. China made ATVs in particular will come in a wide variety of sizes. There is something out there that will fit just about any size kid. Just because a kids quad is a 110cc now, does'nt mean the frame size will be the same. 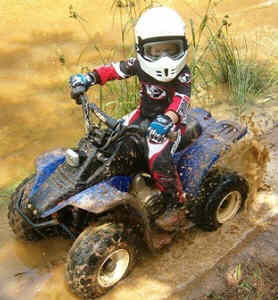 For example, we sell a 110cc that is a good size for a 4-5 year old. We also sell a 110cc that a teenager could ride. The size of the ATV is important to be sure that it fits your child. But this is not even close to being the only safety related issue. Kid Quads now come with remote start and stop. This is mainly, if not only, found on many China made models. Some ATVs also have a walk behind lanyard to shut the ATV down while walking behind a child. 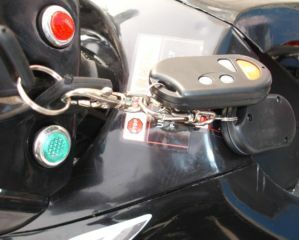 Other important safty features include the speed governor. On todays kids quads, it takes about 30 seconds to adjust the speed governor to restrict the ATVs top speed. 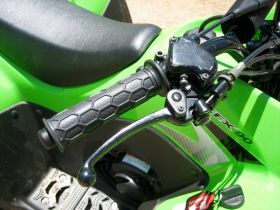 The speed governor is found on the right handlebar. It is a screw that sticks out with a nut on the end. Simply loosen the nut and tighten the screw to the desired amount and retighten the nut. The further you tighten the screw, the more it will restrict the throttle. How about the transmission. Kids quads of today are often automatic. Do you remember learning to drive a car? Hey, its tough enough without having to remember to shift it! Automatic means just crank and go. No shift, no manual clutch. How about reverse? Some kids quads have it and some don't. These is'nt really an issue of safety, but it is a good leading into my next concern: Options! Do you want to buy an automatic, manual, or semi-automatic. 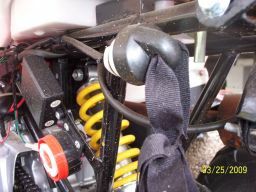 Semi-automatic means that you will have to shift the ATV, but no manual clutch. Manual means that you have to shift and clutch the ATV. A task sometimes too difficult for small children. Make sure you know which type of transmission the ATV you are interested in has. What type of riding will your child be doing? Kids quads come in basically 2 styles. Sporty and Utility. Will your child be hunting, camping, or carrying small loads. Get the utility style. 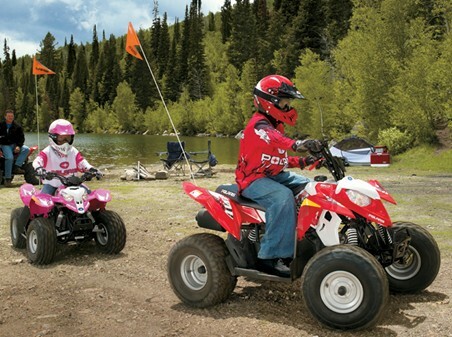 Does your child like racing, or will he/she be riding trails, or just around the yard? Get the sporty style. How about size? Hey kids grow fast! Choose a size that may be a little big for them. This will give them some room to grow into rather than out of! Don't be as concerned with engine size as you are with actual size. A good retailer should be able to recommend the approx. age range for each kids quad. And finally, how about price? Kids quads are available in many sizes and price ranges. As the topic of this website suggests, I prefer the price range in China made ATVs. Sure, you can buy one of the "big 3" and spend four times the amount. But why? Really, why? If the first thing you are about to say is that they will last forever, consider this. It is your maintenance routine and care that will ultimately decide how long the ATV lasts. Anything can be destroyed. Secondly, they are kids. It does'nt matter if it last forever if they won't be riding it that long! How about reselling it later. With proper care, you can recoup the majority of your money when you resell a China made ATV. Try that with the others! While the typical Japan brands cost $2200 and up, you can get China made kids quads for as little as $500 in some cases. You do the math! Heck, an electric quad at walmart cost nearly that and it'll bog down the first time the tires hit soft ground! So, I'll leave you with this. Do some research on size, options, safety features, style, colors, and price. Find a dealer you can trust. Come here to learn your own repair and maintenance tips. Have fun! After all, is'nt that what this is all aobut!